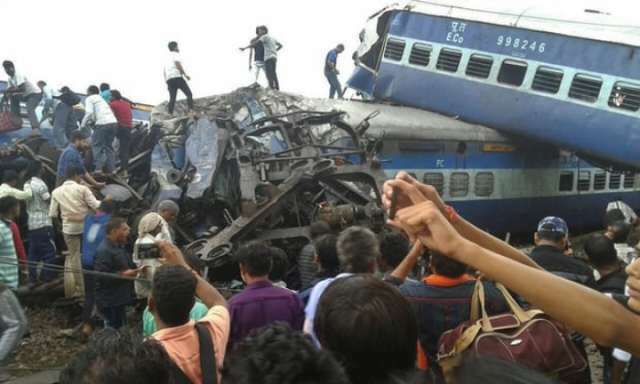 Six passengers died and 35 others injured when the engine and five bogies of the Delhi-bound New Farakka Express derailed just outside Harchandpur railway station in Raebareli on Wednesday morning, Tribune India reported. Confirming the six deaths, Uttar Pradesh DGP OP Singh said while all the bodies had been recovered one is stuck under a bogey and had to be taken out. Among the dead were a woman and two children. No railway expert is on the spot to give any idea for the cause of the accident. But eyewitnesses say changing the track at the last moment may have led to the derailment. Two NDRF teams from Lucknow and Varanasi have reached the spot and begun relief and rescue operations. According to Raebareli Superintendent of Police Sujata Singh, the accident occurred around 6.30 am near the outer gate of Harchandpur railway station. She said Dial 100 ambulances had immediately reached the site of the accident to take the injured to the district hospital. Earlier, Chief Minister Yogi Aditynath expressed his heartfelt condolences for the deceased and directed the DGP, Raebareli DM and SP as well as the health authorities to take all possible relief and rescue measures at the site. Interestingly, the railways are yet to take cognizance of the accident. Till now neither has any senior official reached the spot nor has the minister made any statement. After the accident, Railway Minister Piyush Goyal on his Twitter account gave good wishes for the beginning of Navratri but offered no condolences for the dead.